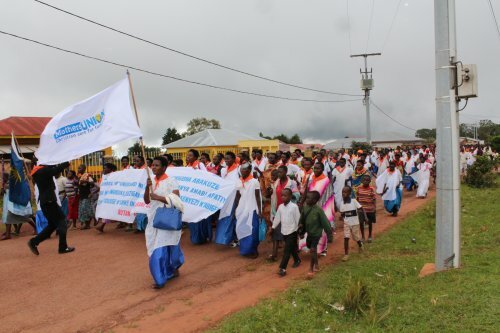 As part of the 16 Days of Activism against GBV that ended on the 10th December more than 1500 people marched in Rutana to speak out against gender based violence. Delegations from all dioceses joined local congregations and local authorities including some holding the highest positions in the police and administration in Rutana Province. People heard testimonies of how Mothers’ Union has brought positive changes in families and communities. 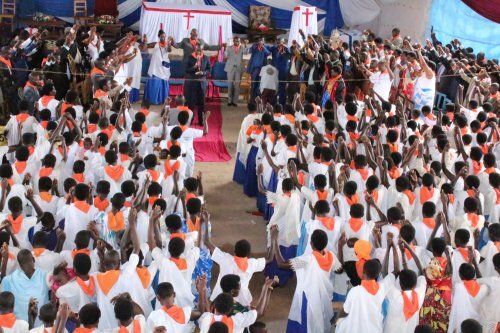 After a service held in Rutana cathedral people raised funds to support a victim of gender based violence who has been mistreated by her husband for many years. MU members also participated in the “global moment” when members across the world were called to link hands with one another to represent unity in ending gender based violence; to reach out hands to represent connection with those around the world affected by, or campaigning against gender-based violence; and to lift hands up, as a sign of prayer for an end to gender-based violence. 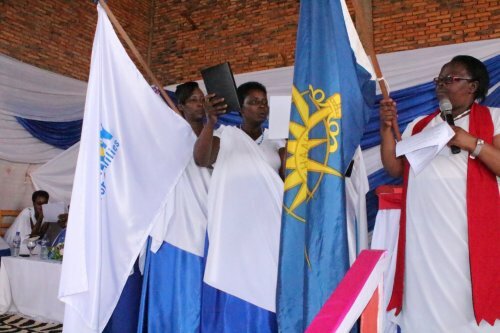 While in Rutana the Provincial MU President and the Provincial MU Coordinator commissioned Mrs. Eularie Ndayirore as President of Mothers’ Union for the new diocese of Rutana.